Commercial sockeye fishing in Yakutat has been closed due to historic low returns, leaving set-netters in a bind until coho and chum season later in the summer. Unlike other salmon fisheries around the Southeast, biologists never saw this coming. The forecast for the sockeye return on the Situk river was good this year. Managers expected to see around 21,000 fish through the weir by this time, and between 30,000-70,000 by the end of the season. Only 2,300 fish — had made it back to the river — as of Monday. “This is by far the worst on record that we’ve ever seen as far as Situk River weir count,” Zeiser said. Zeiser shut down the commercial set net fishery by emergency order June 28, and Yakutat will feel the effects. According to a report in the Juneau Empire, Yakutat fishermen earn about $1.5 million from sockeye — a huge boon to the town’s economy. Fish and Game closed subsistence fishing for sockeye on the Situk — one of the few unlimited subsistence fisheries in the state — Tuesday. Although Fish and Game has been forecasting low returns for other species in Southeast this year — especially king salmon — no one saw this coming. Zeiser has her suspicions, but no conclusive answers. Zeiser said that no connection has been established yet between this year’s mysterious sockeye decline in the Situk, and weak runs of king salmon elsewhere in Southeast. 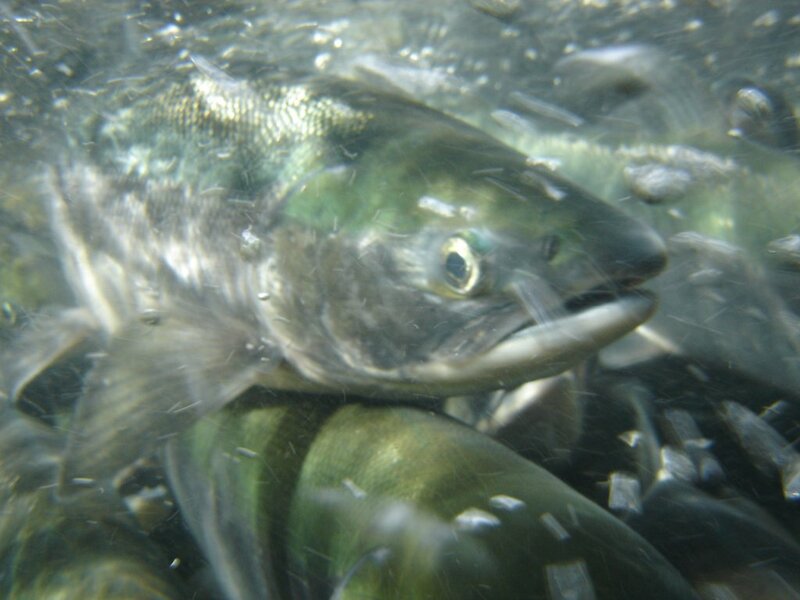 Unlike it’s predator cousin the chinook, sockeye eat plankton almost exclusively. Nevertheless, a bad year for plankton can ripple through the food web. This year’s adult sockeye entered the ocean in 2013-2014 — a year which was notable for a potentially harmful climate phenomenon. Zeiser is encouraged by recent improvements in the Copper River returns, but she’d want to see 2,000-3,000 sockeye per day moving through the Situk weir before she’d consider reopening the commercial fishery. Otherwise, Yakutat set-netters — like other Southeast salmon fishermen — will look to chum and coho to save the season. That the average five-year commercial harvest for silver salmon in the Situk has been about 100,000 fish, Zeiser said.